You can never be too sure of your surroundings. You may live in a nice neighborhood, or share a flat with a qualified roommate, but keeping your guard down for too long can lead to trouble. This is especially true for business owners. You may hire the best employees, but they can easily turn on you when you least expect it. If you wish to protect yourself from burglars, cheats, and vandals, then install one of the following security camera systems to protect your home or office today. You should be able to leave your home without the slightest of worries. While burglaries are quite common, you can safely secure your belongings with these fail proof tips. By following the steps outlined below, you will be able to stay one step ahead of any potential criminal. The first thing you should do is locate all points of entry into your home. This includes doors, windows, garages, and even heating vents. There have been reports of burglars entering by pushing in the air conditioner, so do not let any potential entryway go unnoticed. You will want cameras located on each corner of your home. This allows for you to see a great range of motion across your yard, and it also alerts burglars that your house is under surveillance. Set up a series of bullet cams around the perimeters of your home for the best results. On your porch, or any location near the front door, attach a domed security camera on the ceiling. This sends a clear message that your house is protected, and it allows you to keep perfect tabs on those who enter. Burglars will often come to the front of the house, and then make way to the backyard. If the first thing they notice is a security camera on your porch, they may think otherwise about entering. You will want to ensure that your cameras all have infrared capabilities. Night vision is crucial in tracking and identifying criminals. Although statistics show that most burglaries happen during the daytime, while you are out at work, it is important to plan ahead for any nighttime disturbances. These cameras will work in both day and night, and will switch seamlessly to night vision once the sun sets. You can even order motion sensor cameras in order to cut down on battery time. You will use less energy, and be left with only the most important footage. This will save you from searching through hours of needless footage. If you suspect that your house may be compromised by vandals, teenagers, or more dedicated crooks, then you may wish to invest in a vandal proof security system. These cameras can withstand any human disturbance. These cameras are also weather proof, and can allow you to record perfectly during any rain or snow storm. It is also worth investing in a surge protector for your home surveillance system. This allows your system to run at optimal power without the risk of overheating. You don’t want your cameras shutting down at that crucial moment, so plan ahead and be protected from any electrical failures. 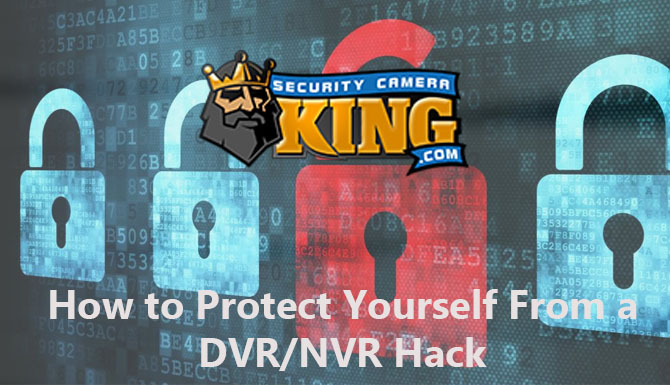 To truly make your house fail proof from burglars, you will want all of your recordings stored on a DVR. A DVR will store all of your footage digitally, making it very easy to access and save all of the pertinent information. For extra security, you can place your DVR in a stainless steel lockbox. This allows you to keep your DVR safe from accidental mishaps, or from tampering from any unwanted persons. If you choose to keep your DVR out in the open, then invest in a DVR horizontal or vertical shelf for optimal storage. These following tips are ideal for protecting your personal belongings. They can be applied to those wishing to protect a drawer full of jewelry, or for those wishing to protect their apartment from conniving roommates. The best protection is preparation, and these security cameras will keep you prepared for the toughest of times. Spy cameras are the best method for protecting your precious belongings. These hidden security cameras come in various forms, and are always seen as just another innocent item upon your desk. The alarm clock spy cam is perfect for keeping on your bedroom dresser. This spy cam is able to record full color video, which can be beneficial if someone should decide to go into your drawer. You can also used concealed cameras as a means of backup. This allows you to always have a surveillance system in place should someone vandalize a previous camera. A smoke detector spy cam is a great way to get add extra protection to any room. A wall clock can protect your room from thieves and intruders. Invest in a small spy cam, and your belongings will not go missing again. You have every right to protect your business from harm. You thrive off of the success of your business, and you know that one successful burglar can quickly turn everything around. Don’t get caught unprepared, and instead, take these fail proof steps in securing your business. You should always protect both your office and the property that surrounds it. 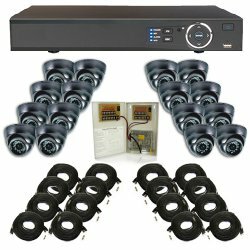 A 16 channel security camera system is ideal for maintaining heightened awareness. Place cameras near all doors and windows, and alongside the rest of your property as seems fit. If there are any fences, dumpsters, or parking garages, make sure to install security cameras so that no place is left unsecured. It is highly important that you invest in vandal proof security cameras for your business. Whether your business is large or small, vandals will often cause damage for no reason at all. You can purchase a vandal proof enclosing cage for your older cameras as well. Along with protecting against vandals, you will want sturdy cameras to protect against all of the natural elements outside. Vandal/weather proof cameras can protect you during any bout of harsh weather, including rain, hail, and snow. If your business is run in a larger building, it may be worth investing in a license plate capturing security camera. These bullet cams are ideal for parking garages and parking lots. It allows you to track who comes and goes from your building, and in the case of a burglary, will add an extra layer of protection to your arsenal. 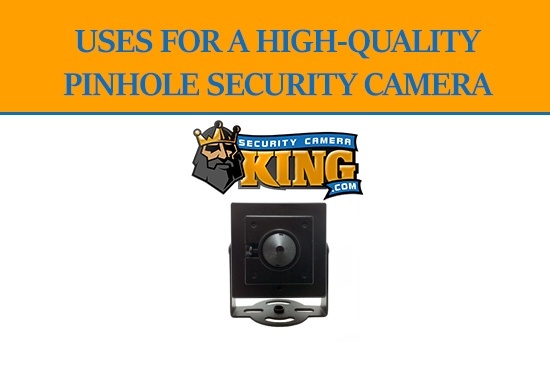 These cameras have wide ranges and run at very high speeds, making sure that no glare or weather hinders their use. If your business is in the need of the highest caliber of security, then a thermal camera may be the best choice. One of these cameras placed near an important area will be more than enough protection. The Heat Imaging Indoor/Outdoor Thermal Security Camera is able to see through virtually any element, as it records movement through body heat. This is best used for banks, vaults, and warehouses, as it provides one of the highest forms of surveillance available. If you have a security officer present, then a PTZ camera will be an exceptional tool in your surveillance. The PTZ allows for panning, tilting, and zooming. These controllable cameras offer the most surveillance for any area. Place one of these domed cameras on a lamp post, corner, or anywhere else with a large room for vision. You can then control exactly what is filmed and how it is filmed. From wide angle shots to close facial recognition, the PTZ allows you more control over your surveillance procedures. If a security officer is not present, then the Auto-tracking 27X Day/Night PTZ Dome Surveillance Camera is the next best choice. This automatic PTZ camera will follow movement with ease. It will also switch to infrared night vision when darkness occurs. 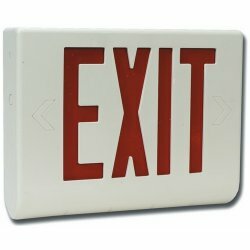 You can use EXIT sign spy cameras to add further protection in your office building. These signs are akin to the standard EXIT signs found in most buildings, yet they contain a full color security camera hidden inside. This makes for a great enhancement in security for hallways, doors, and windows. It also provides a backup should one of your main cameras be destroyed. Network IP security cameras are the newest addition in high powered surveillance. These high definition cameras deliver a resolution that is 128 times better than previous models. The 1.3 Megapixel IP Indoor/Outdoor IR Dome Network Security Camera is ideal for hallways and outside corners, while the 1.3 Megapixel IP Network Bullet IR Security Camera is perfect for parking garages and long corridors. These cameras are also available in vandal/weather proof variations as well. If you rely on facial recognition, and you want every detail covered, then use these cameras to enhance all areas of your security. By following these steps, you can ensure that your home or business is fail proof from burglars and vandals. Don’t wait until something goes missing or is broken, and invest in a security camera system today. 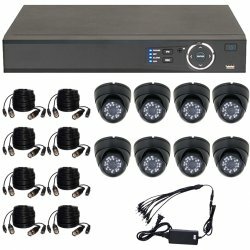 If you desire a security camera system or need upgraded accessories, then come to SecurityCameraKing.com for the best deals on all of the latest models. 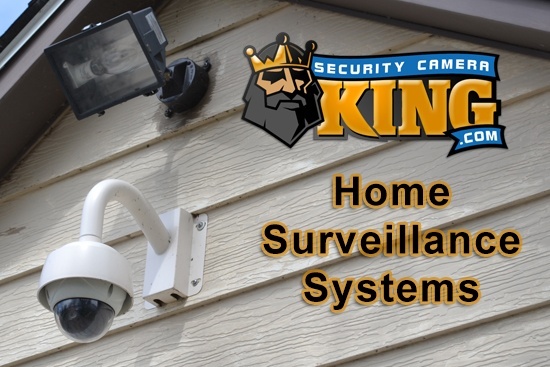 Contact us today to install a security system for your home and/or business.